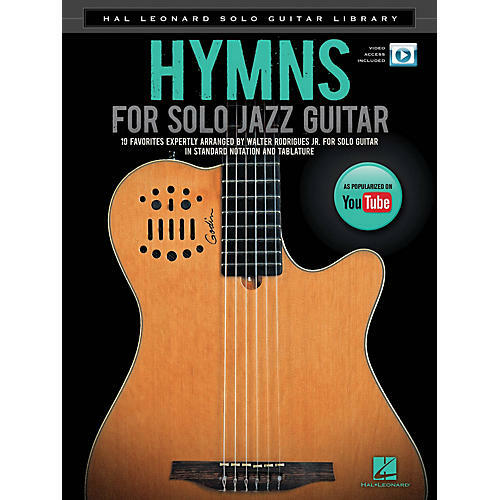 Ten favorite hymns arranged in Walter Rodrigues Jr.'s unique style of solo guitar, in standard notation and tablature. Songs include: Abide with Me · Amazing Grace · Blessed Assurance · God Is So Good · Just a Closer Walk with Thee · Londonderry Air · Oh How I Love Jesus · Softly and Tenderly · Sweet Hour of Prayer · What a Friend We Have in Jesus. The book includes access to videos online for download or streaming using the unique code in the book.